Red Fist of Rome is alternate history the way I like What-Ifs: Walk that dog, show me how it happened. 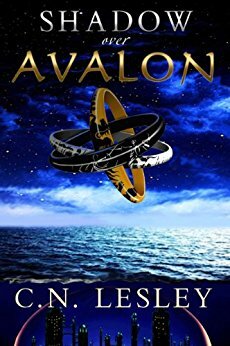 It’s not enough to say: Rome defeated the Vandals and survived; here’s my story set in the far future. Everything is the same except the streets in America are all named after Roman generals. Instead, show me where history went awry. Author John Caligiuri does this, and does it well. Set over the course of several years in Rome’s waning years, it follows Tribune Lucius Bernius and his eclectic band of stalwarts. Some may scoff at the unlikely sidekicks – a Mohawk Native, for instance. But it gives the book a wider-world feel to its scope. (And it’s not like there aren’t other famous alternate histories that have clashed eagles. Chalk this character up to Vikings and pre-Columbian contact theory). The Tribune’s tale finds his legion coming in conflict with corpulent aristocracy, the Huns, Franks, Vandals, and ultimately, Rome itself. Lucius lends his honor and aid to real-world General Flavius Aetius who, in our timeline, was successfully assassinated by Rome’s Emperor Valentinian. Of course, it wouldn’t be alternate history if the story stuck to the historical script. I enjoyed this book. The cast of characters is great. Each one brings their own life and perspective into the fray. The history is alive, even as it twists into Caligiuri’s new timeline. I particularly liked Dr. Phokus who made me wonder if the Starship Enterprise got stuck in the past and Bones himself made do with Roman life. I also enjoyed the interplay and wit each of these characters has with the other. After all, if history can hang on one person being in the right (or wrong) spot at the right time, then what happens when you have a whole army—the whole Red Fist of Rome? There were several curious moments, and the idea of the continent-hopping cast may be a stopping point for some. My only real concern lay in the opening chapters of the book spoiling the ending and sometimes italics could be better used for internal dialogue, but that is being addressed. It was odd to start with the end of the story first. I get that it’s alternate history and we should know what’s different, but it also took a major bit of the tension and anxiety build-up from the story knowing what happens and who survives to the (almost) end. The subsequent chapter takes a bit to get through because of the abrupt rewind to the past. But by the end of chapter 2 the book becomes difficult to put down. Caligiuri creates a stunning new Roman world of dynamic characters and open-ended conflict that teases further tales. 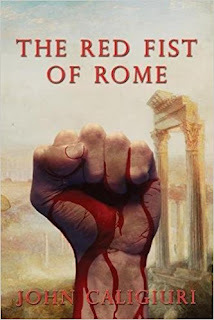 If you like What-if’s, alternate timelines, Roman historical fiction, or a relevant story with solid characters, then make The Red Fist of Rome your next destination. Shadows over Avalon is a curious beast. Scoop up a handful of Arthurian myth and recast it in a future world - a fine enough idea, and one done in scintillating fashion in Patricia Kennealy-Morrison's Keltiad series or the fabulous Camelot 3000 graphic novel. Here, we have a story told in two time periods. Arthur lives in an underwater city where he is being used as part of a breeding programme that he tries to withhold from - using his powers to keep his body temperature too high for his sperm to be viable because he doesn't want to bring a child into this strange world. When able, he researches in the city's archive for the history of a War Maid, Ashira, who is in a forced marriage with the warlord Uther. Fans of Arthurian myth will already see where some of the story's connections are going. Ashira finds herself the victim of all manner of circumstances - without spoiling too much, the forced marriage is just the beginning of her tribulations, as she finds herself caught up in the world of the mysterious Nestines and comes to terms with her own powers. The world is an imaginative one, but I struggled at times to follow the action, which wasn't always clearly described. More problematic for me was the abusive way in which female characters were treated - Ashira coming to enjoy her abuser's attention, for example. There are shades here of the start of the relationship between Daenerys and Drogo in Game of Thrones, and that was just as troublesome. Daenerys rose after that to take power, but it feels as if Ashira is more often a victim of her circumstance rather than one to take command. If that's an issue for you, then this book won't sit well with you, but if you can bear with it, the story ultimately shows Ashira's strengths. You know that old adage about not judging a book by its cover? It's still as true as ever. I wasn't drawn in by the cover of this book, and it sat on my Kindle for a little while. That was my mistake. 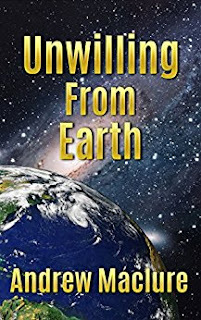 Unwilling From Earth is a delight. Right from the off, you can see the author is tipping his cap firmly in the direction of Douglas Adams. Our erstwhile hero, Mark, lives a dull life in IT. Worse, he gets the job that the IT department palms off on him when he's not around to argue about it. And so he finds himself in a basement office, shuffling archives in an office with a wobbly door and aided by the worst helper in the company. The Adams references are as obvious as the BEWARE OF THE LEOPARD sign Mark pastes in his office. On the bright side, the worst helper in the company does agree to going out for a date with Mark, an uncommon experience in his life. Beer is quaffed. And then comes an odd man with his odd ways and his odd not-very-human appearance. Which perhaps isn't surprising because he isn't very human. Before Mark knows it, he's off on a journey into space and pitched into an interstellar war with some very unexpected companions. I won't say more for spoilers, but let's just say that Mark is as clueless as Arthur Dent when it comes to women. There's a real spark and zest to this novel, along with sharp observation. It may not be the Restaurant at the End of the Universe, but it's certainly something you might read while waiting to be seated there, and that's no bad thing.